The story on “elder orphans” raised several questions for me. The book is generally good, though not as ground-breaking as Influence. 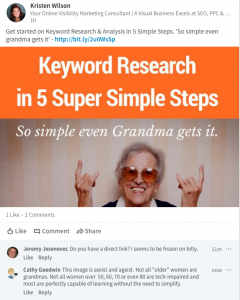 The impact of pre-suasion has been identified elsewhere and is commonly practiced by marketers. However, four pages in this book – 122-126, together with the related footnote, seem particularly disturbing. These “afflictions” affect people who are quite old and often near death. Many older people suffer more from the misguided effort of the medical professional to address these conditions, although medical intervention doesn’t always extend mortality or raise quality of life. In fact, some research suggests that diagnosis of diabetes after 65 doesn’t affect mortality. In his footnote, he does note that the “positivity paradox doesn’t usually extend into the very last phases of life…” because at that point the elderly lose control of their lives. Yet considerable research as well as evidence from practicing physicians suggests that depression is significant among the old and younger old. Reported incidence of depression varies widely, possibly due to measurement flaws and motivation of the medical provider to prescribe drugs. The tendency to focus on the good in a marriage may be related to length of time in a marriage, or experience of being married generally. Age discrimination takes a huge toll. Many older people are able and willing to work. While a 70-ear-old can be president of the US, a competent person over 50 will have trouble finding an ordinary responsible job; at 60, the options dwindle to jobs like greeter at big box store. 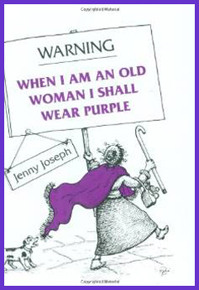 Older people often are treated with rudeness and condescension. Not all have spouses or siblings who can be sources of support and advocacy. People who experience these realities have every reason to be “grumpy” — an ageist term that should not appear in the pages of a psychology book. Images of cheerful, tolerant elders are as harmful to the aging population as images of happy slaves were to the treatment of African-Americans. 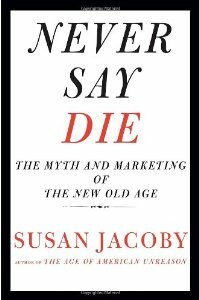 I’d suggest reading Never Say Die, by Susan Jacoby, for a realistic view of the aging experience, and also Goddesses Never Age by Christiane Northrup, about the possibility of aging in good health. Northrup is optimistic but does not dismiss the realities of age discrimination and stereotypes. Read Mary Pipher’s Another Country (which has become somewhat dated due to weaker family structures in the western world).